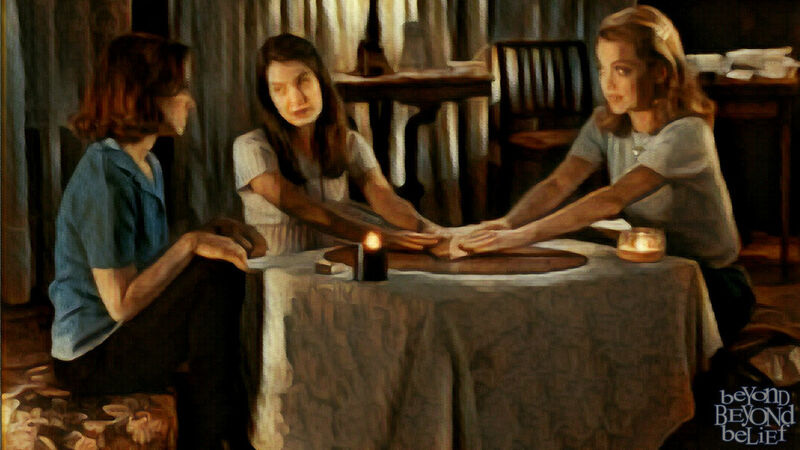 Story 1: The Prophecy—Three girls learn a harsh lesson when they decide to communicate with a spirit. The group points out the spirit kidnapped the one girl who did not want to even mess with dark magic. Ergo, #OrginalBarb. Kyle thinks it’s pretty simple; a girl just went missing coincidentally after playing with a Ouija board. Jesse explains that if he were younger he would totally do this to mess with his friends—make it seem like a spirit took him to the underworld, when in fact he just moved to a different town. Tiffany thinks it’s a very obvious story to have been written. Mark thinks it may too obvious to have been written. Chris shares a personal Ouija story, apparently communicating with someone named… Ben? Story 2: Couch Potato—An obese man obsessed with TV finds his unhealthy lifestyle surprisingly healthy. Chris tries to force in a ghostly element, claiming this is a “reverse Final Destination,” i.e., the universe wants to keep him alive. Kyle thinks this a ridiculous because no one can break through a thick TV screen. Jesse and Tiffany think if it were fake there would be more of a moral. Story 3: Love Over The Counter—A woman invests in stocks based on signs she believes are being left by her dead husband. No one understands why it’s called “love over the counter.” A stock market thing? 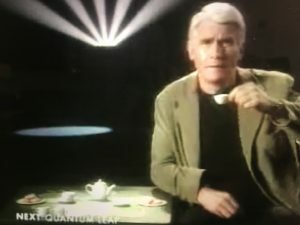 Jesse a points out an emerging trend in Beyond Belief, made up clichés: “When you get to the bottom line, the bottom line looks better every time.” Huh? Jesse thinks the writers are ripping off the movie Ghost. Story 4: Imaginary Friend—A girl’s imaginary friend proves to be more than just imaginary. Chris explains he had a similar experience when he was younger, in which he predicted when his friends mom would call. Once. And never again. Kyle also thinks this reminds him of his mom who says she always knows when Kyle will call. Spooky. And not just once. Jesse thinks the girl’s predictions are much like many psychics (al la the Long Island Medium and Sylvia Browne)—they make hundreds of predictions, only a few come true, and you remember the hits and forget the misses (AKA confirmation bias). Story 5: Last Man On Earth—A divorce couple is reunited by songs on a radio station. The group thought it was a really sweet story, but James Brolin outro kind of ruined it by trying to force a supernatural element. Jesse won’t admit that this story made him very emotional [Note from Jesse: I don’t recall this]. Reminds Jesse and Kyle of the radio call-in show Delilah. Mark thinks it’s true because it took place in Los Angeles. Advertisement: This episode is brought to you by CPR TV.